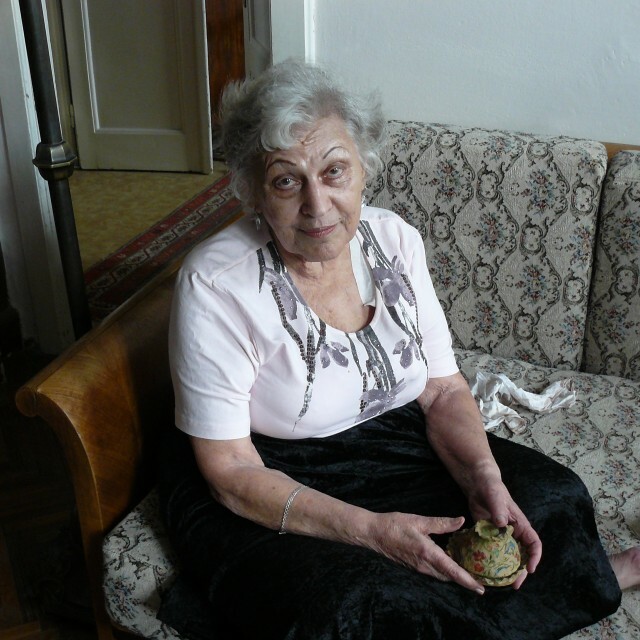 In 1951, Bibiana Wallnerová attempted to escape from communist Czechoslovakia to the free world with her parents and her sister Dorota. The escape ended when her young sister was killed on the borders with Austria. The border patrol took Bibiana and her parents to the guard house, where they stripped them of all valuables before escorting them to the Border Guard barracks in Château Malacky. She and her mother remained there for approximately two weeks. While there, she encountered one of the methods through which the interrogators attempted to pry information from the detainees – they baited her with a young guardsman. Seeing as he did not introduce himself, Bibiana gave him a name of her own. She called him Good Soldier Svejk, (a famous comic Czech fictional character – transl.). She recalled: “He was a spy who was supposed to get information from me. He would come to visit and would help out in some small ways. When I saw that he sympathised with us, I asked him for a towel, a toothbrush, and toothpaste. He procured that, at the expense of the state I guess.” Good Soldier Svejk visited her frequently and flattered her. Finally he suggested he could save some of their property: “You know, if I was to bring it to you, you'd have to tip me off to some really good bloke who I could pass it on to.” Although Bibiana refused to react to the suggestion, Good Soldier Svejk was persistent. He even came to her when he was on night duty: “Those were situations like from Romeo and Juliet. I – behind the bars in my white blouse, marked by the bars’ shadow, the moon shining. In front of the bars stood Good Soldier Svejk with his bayonet, entreating me to change my mind.” Bibiana refused, however, and Good Soldier Svejk came back no more. “It was not until then that I realised why he had stood out there so all those times, the purpose he had had. And that it hadn't been for my blue eyes,” she remembered. Bibiana Wallnerová was born on December 14, 1932, in Bratislava. Along with her sister Dorota, she grew up in a cultural environment. Their parents led them to love sports, foreign languages, and music. Yet as a child she was confronted with the cruelty of war and, after February 1948, with the brutality of the communist regime. Bibiana's father, in the same year, proposed to his family to flee abroad, however, both daughters refused it. Three years later the situation changed and thanks to the older sister they obtained a contact to a smuggler, who would guide them through the Iron Curtain. On May 9, 1951, shortly after 2 a.m. everyone was detained by the Border Guard near the wire fence app. 500 m from the passport control in Kopčany. There was shooting which ended the life of Bibiana's sister. Bibiana and her parents were taken to a guardhouse, where they were deprived of all their valuables and consequently put to barracks of the Border Guard in Malacky manor house. 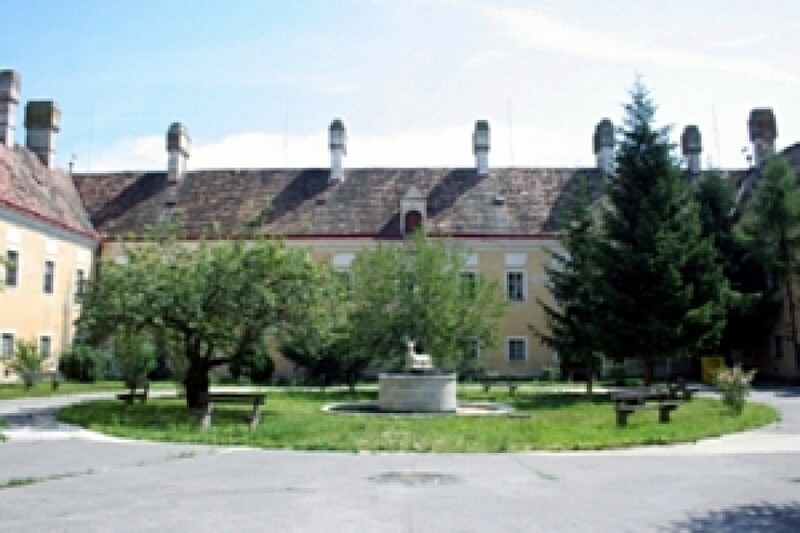 Here she stayed with her mother for two weeks, after which they moved her to Bratislava prison at Špitálska Street called U dvoch levov, (At Two Lions). After the investigation she was placed in Leopoldov prison and later on into the cell of county court. She spent several months in solitary confinement. In a trial that was held in September 1951, her father was sentenced to twelve years for high treason, her mother got five years and Bibiana, accused of "only" attempt to cross the borders, was sentenced to two and a half years. 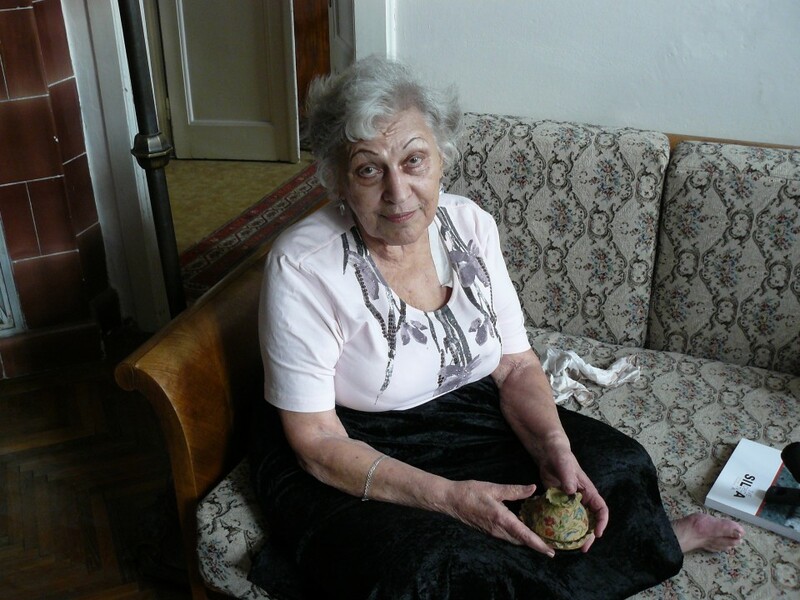 Together with her mom they were transferred to Ilava prison, whilst her dad was sent to Leopoldov. Yet in 1951 the women's penitentiary was moved to Rimavská Sobota; furthermore in April 1952 Bibiana had to move again. This time, however, she was definitely separated from her mother. With some of the women prisoners she went to Sučany, where she became friends with Maruška, a talented poetess who came from Bohemia. Together they created United Poetical Singing and Artistic Association, and after their surnames they named it SOBKOV. In May 1953, thanks to the amnesty, she was released, however, nothing resembling a come back to normal life awaited her. She got employed in laboratory equipment in Bratislava as a correspondent, although she tried to subordinate everything to her only aim - visiting of her parents in the prison. Since her mother was in Pardubice and her father in Ilava, and later in Mírov prison, it was very time consuming and financially demanding to travel to visit them. Only the love towards her future husband gave her strength to live on. It took her years to manage to gain a flat. After her first child was born she stayed at home and, besides taking care of her family, she started to build up her literary career. She composed songs, cooperated with various music composers, won many competitions, proved her ability also as a translator, and later she worked as a tourist guide in Čedok company. She earned the name of a great author, even though her past oftentimes caught her up and deprived her of her work. At last, Bibiana got a job in radio, in the editorial department for children and youth, where she prepared successful music programs. In spite of the fact that they fired her from this job, after some time she gained the job back again. Bibiana Wallnerová has been still active in her literary work. She has been author of several books. Her experiences of the prison life are described in a novel called "Pod basovým kľúčom," (Bratislava 2010), from which one can feel a great sense of humour and resistance, with which she fought against the inauspicious destiny. Château Malacky was built in the Baroque period and originally served as a stately residence for nobility. 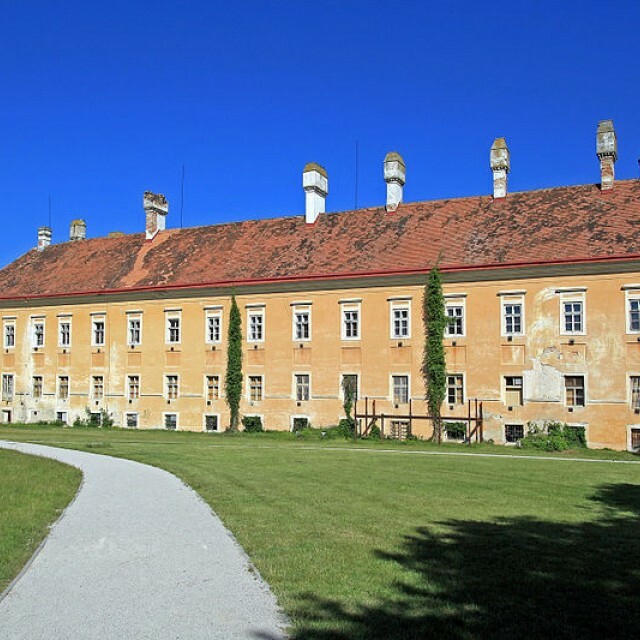 After 1918 it was inhabited by officers of the liberated Czechoslovak Army; in 1933 it was given to the Franciscan Order to be used as a secondary school boarding house for boys as compensation for so-called beneficiary duties. 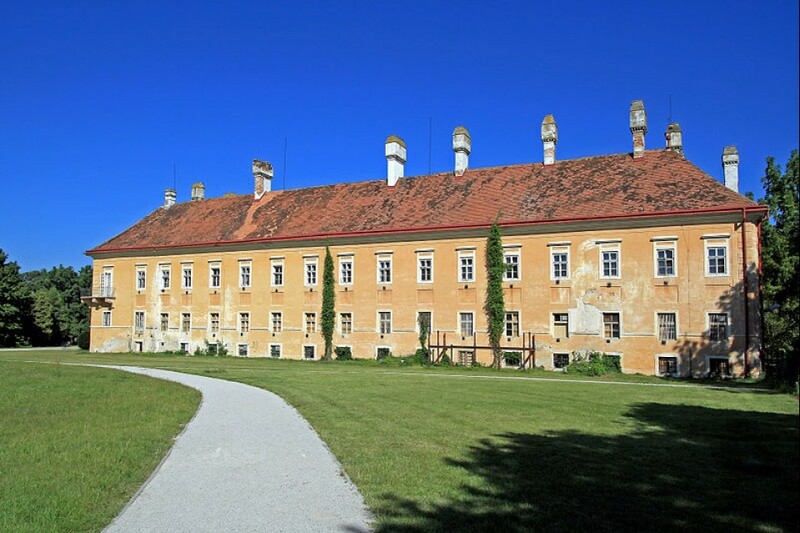 In 1944-5 to building was used by the German Gestapo to imprison and torture members of the Slovak National Revolt; soon after it was a base of operations for the Border Guard. In 1957 the château was turned into a hospital. It is currently owned by the municipality.